The terms Internet of Things (IoT) and Industry 4.0 stands for the growing trend to equip products with their own intelligence to take some of the weight off the user’s shoulders. Almost all popular TFT displays as well as PCAP touch screens with either I²C or USB interface can be directly connected and enable a wide range of solutions for a variety of applications. The Artista-IoT TFT Controller can be integrated quickly into your existing Windows or Linux infrastructure and easily adapted to the specific requirements of your application. 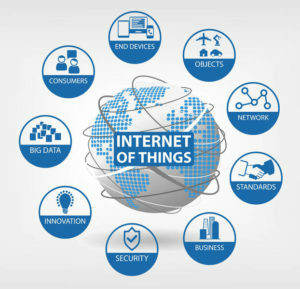 Bring your product to the Internet of things! Customization and integration of Linux drivers: For example, the driver for Ilitek’s I²C Touch Controller Chip ILI2511 will be included in the next Raspbian release. Raspbian is a free operating system based on Debian and optimized for the Raspberry Pi Compute Module. This operating system provides all the basic programs that get your Raspberry Pi started and additional precompiled software for easy installation on your Compute module. 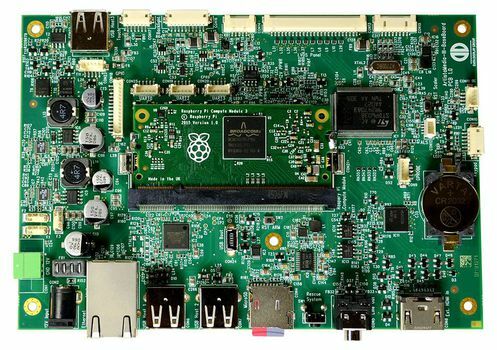 The large Raspberry Pi developer community provides support via the forum. The Emteria operating system provides industrial Android™ for our Artista IoT. Quickly installed and based on AOSP 7.1, it simplifies your development process and is the perfect basis for all types of human-machine interaction. Emteria includes all major enhancements and security updates and is backward compatible. Based on our BaseBoard with Raspberry Pi, we developed the network player VideoPoster-IV. It is full HD capable and plays various media files either from the 3GB internal flash memory or from a microSD card. Videos are either transmitted via Ethernet or USB. An FTP connection is also possible. The info-beamer software was developed specifically for all types of digital signage applications and also supports the Artista IoT with info-beamer hosted. The software is installed fast and easily, offering a variety of options from synchronized video walls, via conference room management, to electronic public transport timetables. The Artista-IoT starter kit helps developers implement a project quickly and easily. Thanks to pre-installed Raspbian, the support of the huge community can be used. Click here to see our full line of IoT Compact Panels! Based on our BaseBoard with Raspberry Pi, we have developed the Network Player VideoPoster-IV. It is full-HD capable and plays various media files either from the 3GB large internal flash memory or from a microSD card. Videos are transmitted via Ethernet or USB. An FTP connection is also possible. Please click here for more information on our VideoPoster-IV.